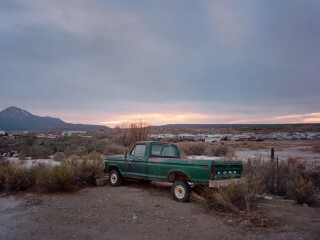 Motor Chronicles is an exhibition of documentary-style photographs taken along the sparsely-inhabited roadways of the western United States. Through intimate portraiture and vast landscapes, this work depicts a region where myth and dreams die hard. You're inivted to the opening reception at Farewell Books. Beverages will be available.